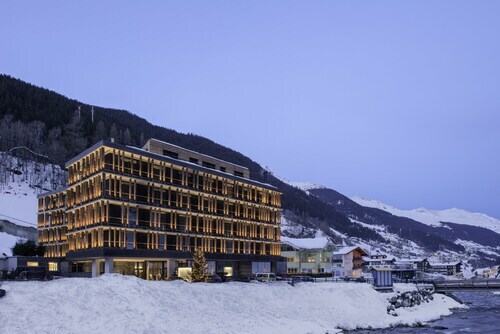 Located near the slopes, this Sankt Anton am Arlberg hotel is in the mountains, within a 10-minute walk of Nasserein Ski Lift and Galzig Cable Car, and close to winter sports such as cross-country skiing and skiing lessons. Museum St. Anton is 0.5 mi (0.9 km) away. St. Anton am Arlberg Station is 7 minutes by foot. 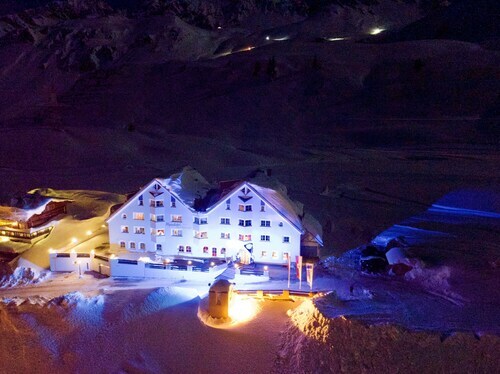 Situated in St. Christoph, this ski hotel is within 1 mi (2 km) of St. Christoph am Arlberg Ski Area and Arlberg Pass. Museum St. Anton and Galzig Cable Car are also within 6 mi (10 km). 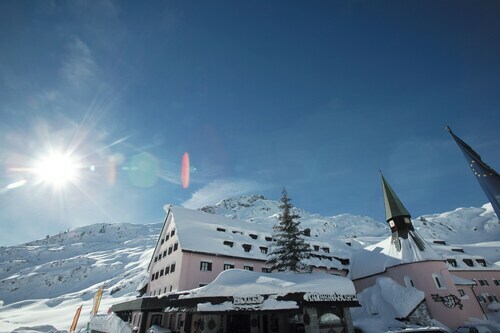 Located near the slopes, this St. Christoph hotel is in the mountains, within 1 mi (2 km) of St. Christoph am Arlberg Ski Area and Arlberg Pass, and close to winter sports such as cross-country skiing. Galzig Cable Car and Nasserein Ski Lift are also within 6 mi (10 km). 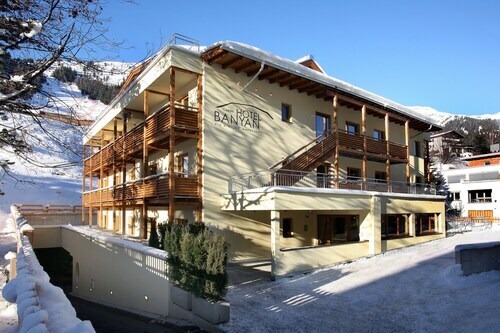 Located in the mountains, this ski-in/ski-out apartment building in Sankt Anton am Arlberg is within a 15-minute walk of Galzig Cable Car and Nasserein Ski Lift and close to winter sports such as cross-country skiing and snowshoeing. Museum St. Anton is 0.2 mi (0.4 km) away. St. Anton am Arlberg Station is 6 minutes by foot. 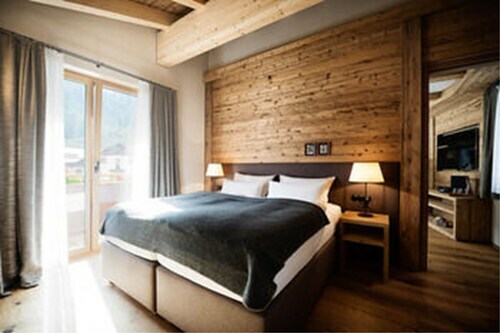 Situated in Ischgl, this luxury hotel is within a 10-minute walk of High-Bike Testcenter Paznaun and Silvretta Cable Car. Paznauner Thaya Ski Lift and Dias Cable Car are also within 6 mi (10 km). How Much is a Hotel Room in Landeck? Hotels in Landeck start at $123 per night. Prices and availability subject to change. Additional terms may apply. Wanting to book a great place to rest and relax when seeking inspiration in Landeck? Travelocity boasts many special modern accommodations. If you are dreaming about roaming in Landeck, Travelocity offers 11 hotels within a short drive of the downtown area. Although Landeck can't boast to hosting an extensive array of accommodation options immediately within the downtown area, Hotel Schrofenstein should be close enough to satiate the flexible traveler. Serfaus-Fiss-Ladis is a district that has 6 hotels, making it the area with the widest selection of Landeck lodgings. 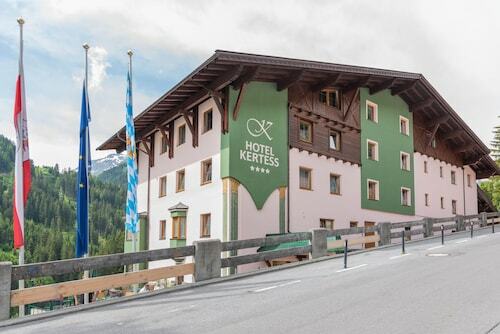 Serfaus-Fiss-Ladis hotels include the Kinderhotel St.Zeno and Hotel Riederhof. Looking to stay in a more relaxed area? Ischgl, Paznaun and Sankt Anton am Arlberg all boast some good lodgings that can be reserved via Travelocity's bookings guide. Within Ischgl you will find the Hotel Fliana and Familyhotel Seiblishof. While Paznaun's Travelocity listed hotels include the Hotel Zhero - Ischgl/Kappl and Alpenresidenz Ballunspitze. 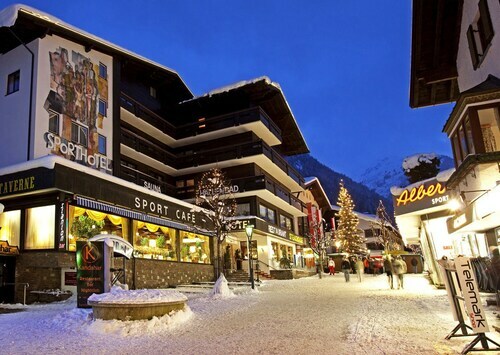 In Sankt Anton am Arlberg choose between Hotel am Dorfplatz and Hotel Lux Alpinae. Families, students and those on a budget can choose from nice Landeck lodging options that definitely won't break the bank. The Banyan Hotel is 14 miles (23 kilometers) from downtown, while the Hotel Kertess is 15 miles (24 kilometers) away. Additional budget room options are the Das Sonnbichl - Genusshotel - Adults only and the Hotel Garni Alpenstern. The Chasa Montana Hotel & Spa is 16 miles (26 kilometers) outside the city center of Landeck. An alternative accommodation option is the Silvretta Hotel & Spa, which is situated 16 miles (26 kilometers) away. Another possibility is to book a room at the Hotel Alpina Arlberg or the Vital-Hotel Samnaunerhof. Once you have spent time in Landeck, put aside some time to look at Tirol's other cultural and scenic delights. Tirol has rivers and streams. Popular visitor draws include castles, old towns and historic palaces. In this corner of Austria adventurous travelers may also take up the chance to partake in snowboarding and skiing. Looking for activities? Consider spending a day or two checking out Seefelder Spitze and Reither Spitze, in Seefeld in Tirol, 35 miles (54 kilometers) northeast of Landeck. The Hotel Klosterbraeu and Astoria Relax & Spa Resort are just some examples of the comfortable lodging options in Seefeld in Tirol. Or, you could consider staying in Imst, 11 miles (17 kilometers) northeast of Landeck, where you can pick from the Schlosshotel Post Edelfreisitz Sprengenstein and Hotel Stern. The Hochzeiger Gondola and Fasnacht House are some of the more popular points of interest to discover when you're in Imst. When you're flying via Kranebitten Airport and are looking to base yourself nearby, check out Weisses Rössl or Best Western Plus Hotel Goldener Adler. I loved this hotel enough to stay three nights instead of the one I'd planned to. Great room and large bathroom (but shower was awkwardly narrow), awesome location and exceptional value with excellent breakfast included.